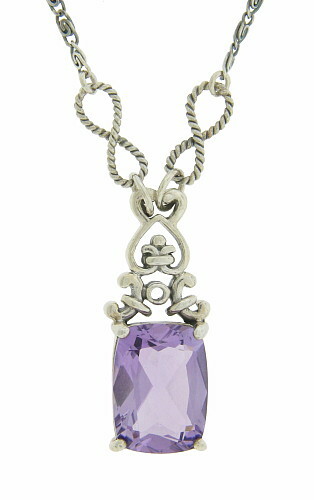 A gorgeous faceted amethyst is the focus of this elegant sterling silver necklace. The pendant measures 2" long, 1/2" wide. The chain measures 15" in length. 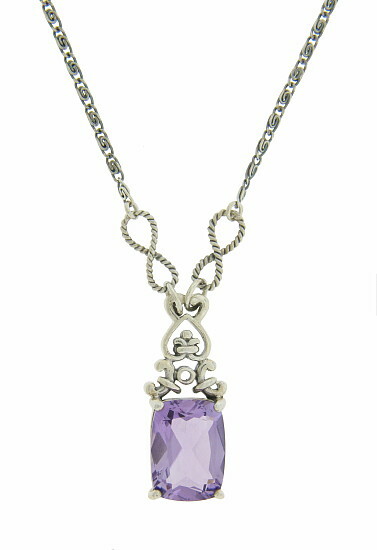 This lovely necklace pairs perfectly with our sterling and amethyst earrings ER619 (sold separately).